Swedish Satanic death metal squadron, AEON, today reveal the opening track from their forthcoming new full-length, Aeons Black! Entitled “Still They Pray,” the exclusive track premiere is brought to you by Metal Hammer Germany and is currently available for your maniacal listening pleasures at THIS LOCATION. Set to detonate in North America on November 20, 2012 via Metal Blade Records, the 15-track Aeons Black was recorded at Empire Studio in Östersund, Sweden, engineered, mixed and mastered by Ronnie Björnström (Garageland Studios) and features cover art by Kristian “Necrolord” Wåhlin (Bathory, At The Gates, Dissection, Emperor et al). 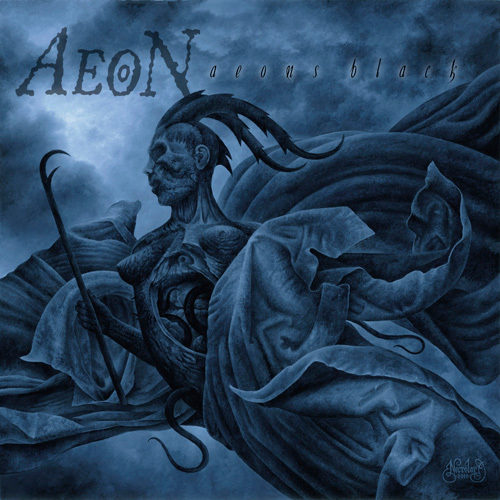 Aeons Black is the follow up to 2010′s Path of Fire, which About.com called “a juicy slab of prime-cut blasphemous death metal,” that, according to Ultimate-Guitar.com, “doesn’t let up in terms of insanely fast tempos, chugging guitars, and demonic vocals,” landing the album an 8 out of 10 score. AEON is already confirmed for a UK tour which will take place in January 2013 with more dates for Europe and North America in the works. Check out the title track as well as studio videos and pre-order info HERE.